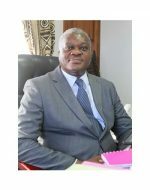 Managing-Partner of AQUEREBURU & PARTNERS, Mr Alexis Coffi AQUEREBURU has been a member of the TOGO Bar association since 1985 and has served as Secretary and twice as Chairman of the Bar Association of TOGO from 2006 to 2008 and from 2008 to 2010. Mr Alexis Coffi AQUEREBURU is a Business Law Counsel with a vast experience that goes beyond the traditional borders of the lawyer’s functions. Throughout his career, he has been a main actor in the privatization of several state banking institutions, in the transformation of companies and in significant transfers of shares between various economic operators. His expertise in mergers and acquisitions is also heavily sought internationally. He is a member of the OHADA National Commission of TOGO and enjoys a high reputation among all its actors and in the profession. He has also been involved in the drafting of several legislative acts relating to governance rules for public enterprises, public procurement rules and the energy sector. A pioneer in the fight against counterfeiting of products and trademarks in Togo, an intellectual property specialist and a professional representative at OAPI, he is very active in the field of law promotion in Togo and in the subregion. He is also at the forefront of environmental issues in obtaining a postgraduate degree in this field. AQUEREBURU & PARTNERS, is a legal and tax Law Firm located at 777, Avenue Kleber DADJO (Building ALICE). Located in the heart of the commercial area, it is a multidisciplinary Firm endowed with a rich and solid base through the professional experience of its team. AQUEREBURU & PARTNERS is created from the Firm of the Barrister AQUEREBURU Coffi Alexis, founded since 1985. AQUEREBURU & PARTNERS has been registered at the Bar Association of Togo since April 4th, 2007 and comprises seven (07) Lawyers, one (01) senior tax expert, four (04) jurists, one (01) jurist and translator and some twenty collaborators. It avails its know-how to its clients both in the subregion and in Europe by benefiting from the support of a network of correspondents and confirmed consultants, when necessary. In order to better achieve our purpose, which consists of total satisfaction of our clients, the Firm has been committed since 12 August 2005 to the ISO certification process which ended on 18 May 2010 with its ISO 9001 version of 2008 renewed on April 30, 2015. AQUEREBURU & PARTNERS is also the winner of the TOGO and UEMOA Quality Excellence Awards in 2010. Its commitment to the Quality approach made it earn the prestigious “WORD QUALITY COMMITMENT” Gold Award in Paris in October 2016 from the International Business Initiative Directions (BID). The activities of its various departments cover a broad range of law: tax and business law, commercial law, maritime and transport law, corporate law, banking law, insurance law, Community law, intellectual and industrial property law.